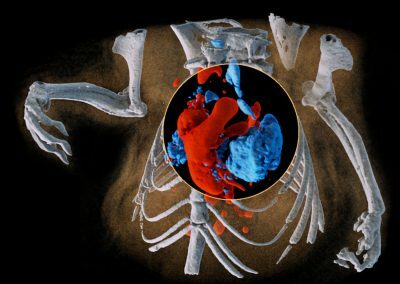 CT has traditionally been limited to the use of a single contrast agent per scan. 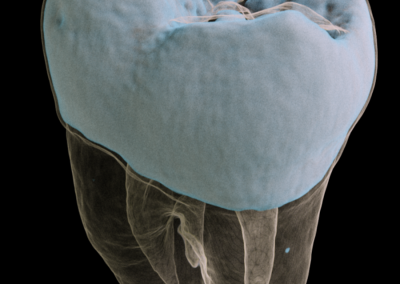 Spectral CT gives researchers a tool that can quantify a number of contrast agents as well as intrinsic markers such as lipid, bone and soft tissue. Tracking multiple biomarkers simultaneously provides a way to monitor multiple processes non-invasively. Available data sets include mouse data and phantom data. R. Panta, et al (2018). 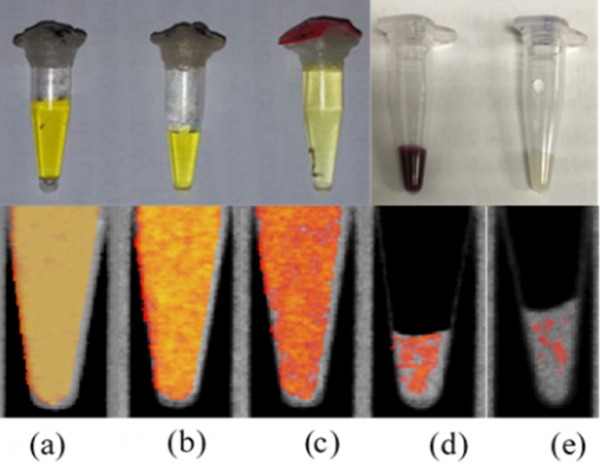 Element-specific spectral imaging of multiple contrast agents: a phantom study. Journal of Instrumentation. 13 T02001. Read paper. M. Moghiseh, et al. (2016). Discrimination of Multiple High-Z Materials by Multi-Energy Spectral CT– A Phantom Study. 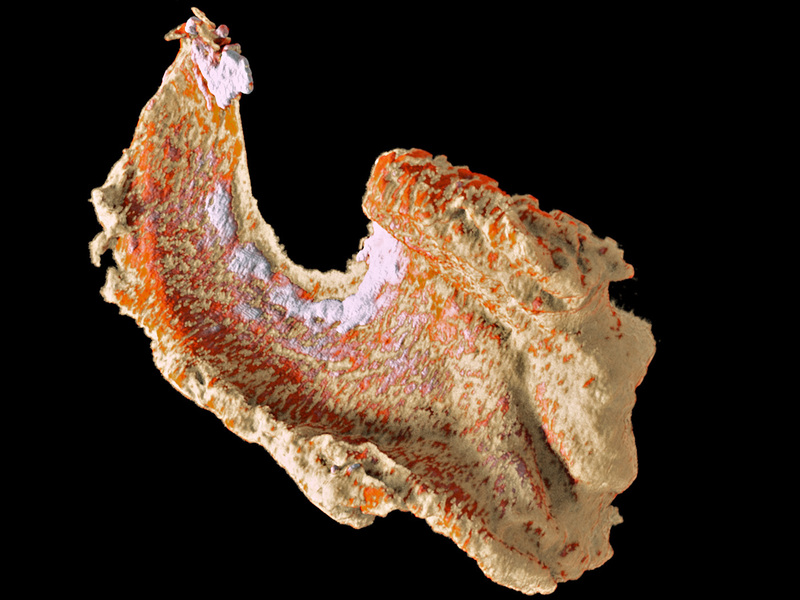 JSM Biomed Imaging Data Pap 3(1): 1007. Read paper. N. Anderson, et al. 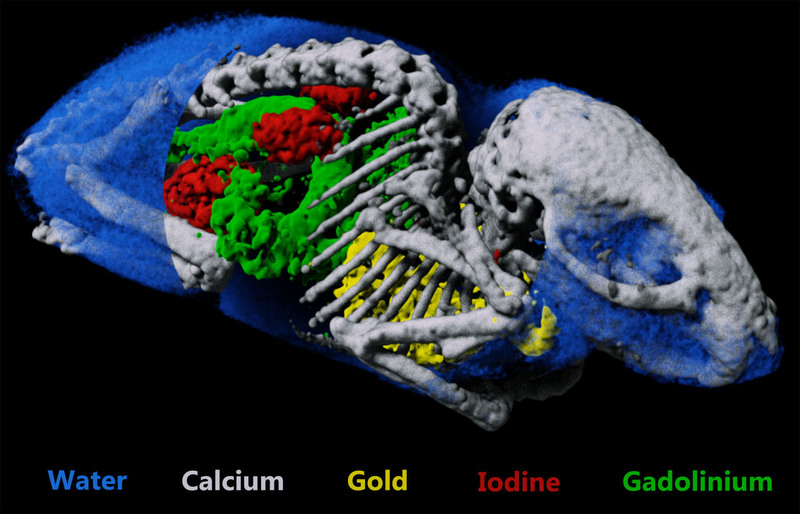 Spectroscopic (multi-energy) ct distinguishes iodine and barium contrast material in MICE. European Radiology, vol. 20, pp. 2126–2134, 2010. Read paper. R .K. Roeder, et al. 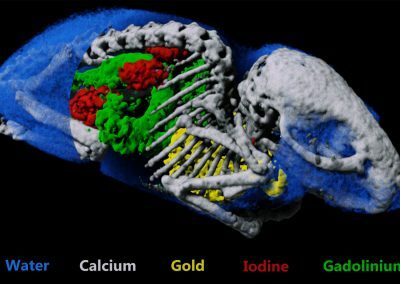 Probes for Molecular Imaging with Computed Tomography and Application to Cancer Imaging. Proc. SPIE, 10132, 101320X (2017). Read paper. Gold nanoparticles located in the lungs, iodine found in the bladder and kidneys, and gadolinium in the stomach and intestines. 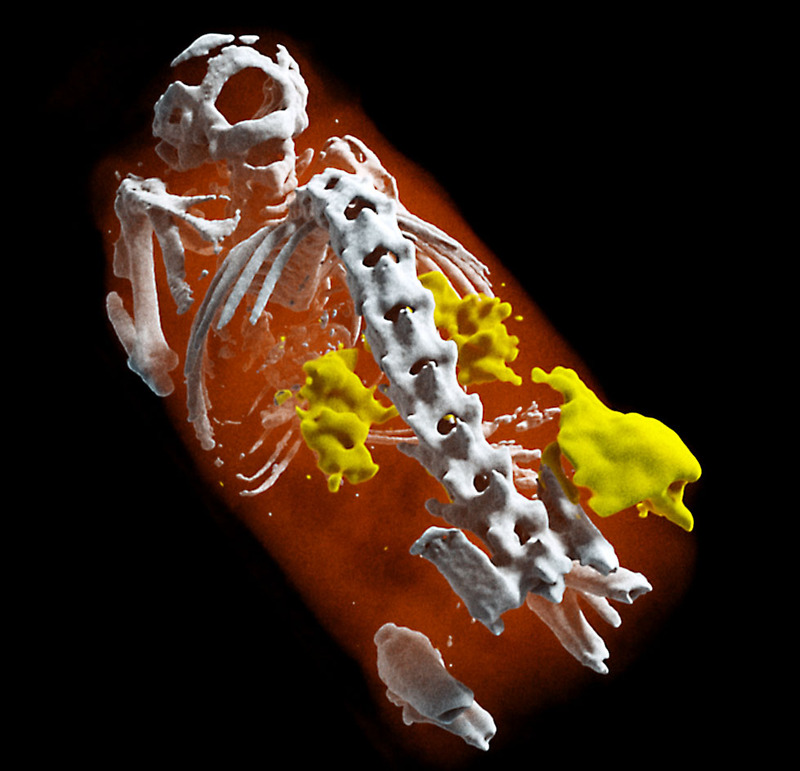 Soft tissues are identified in blue and bones in white. A tumour was placed under the flank of the animal. Small gold nanoparticles (5 nm) were injected. 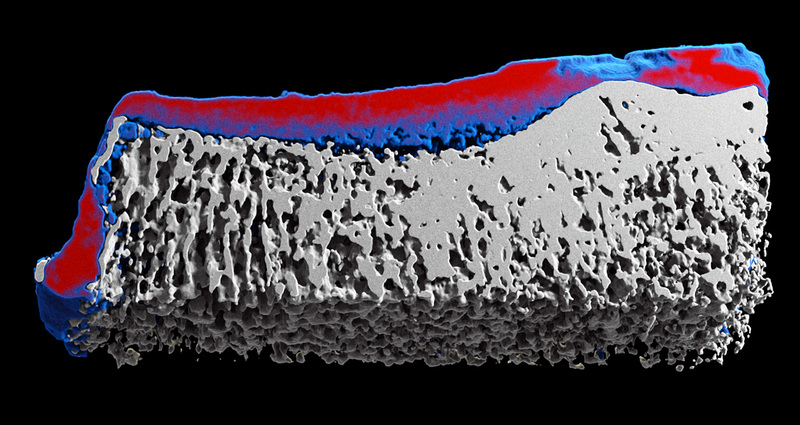 The non-functionalized nanoparticles accumulate in areas of neovascularization (e.g. 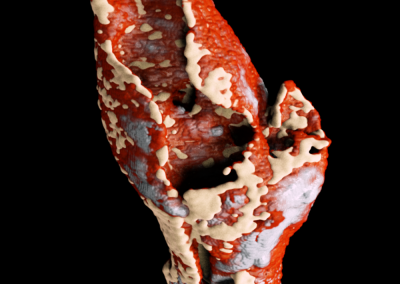 tumours) where vessels are more leaky. 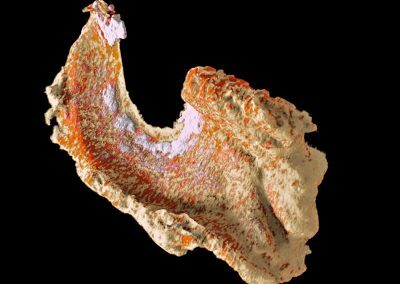 MARS scanning opens the door to targeted imaging probes on CT.
Knowing whether an antibody-based treatment has reached its target tissue can be difficult. MARS spectral CT offers a method to track nanoparticles, allowing preclinical researchers to have confidence that their treatment has reached their target cells. 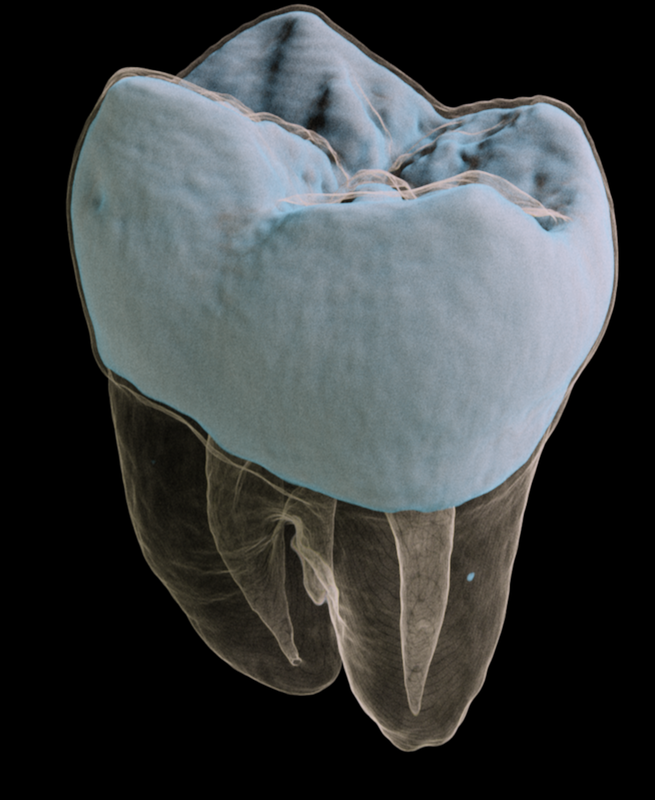 Spectral imaging provides better soft tissue contrast than is available with traditional x-ray systems. 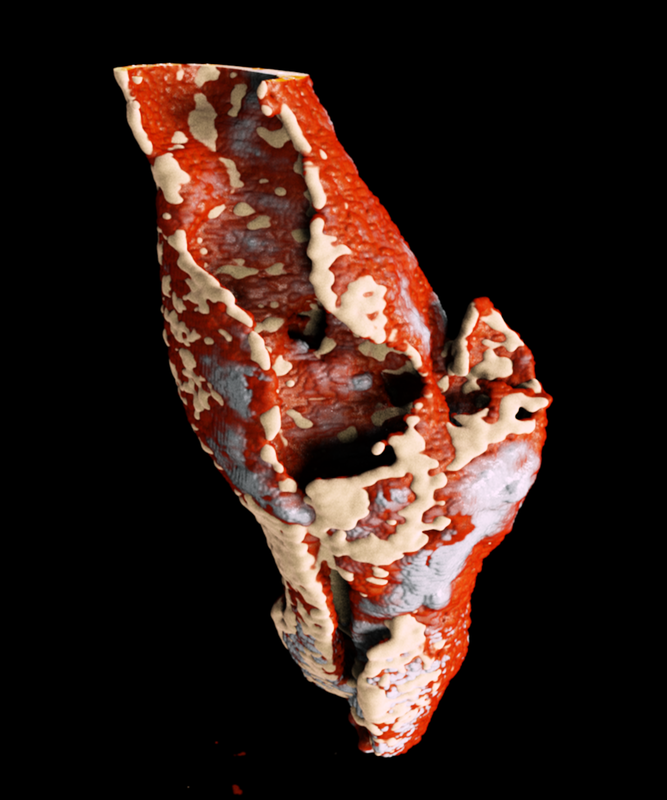 This enables imaging and distinguishing pathological features of cardiovascular disease at high spatial resolution, for example the components of atherosclerotic plaque. Alternatively it can be used to better characterise muscles, bone and fat. Downloadable data set of lamb meat. R. Aamir, et al. 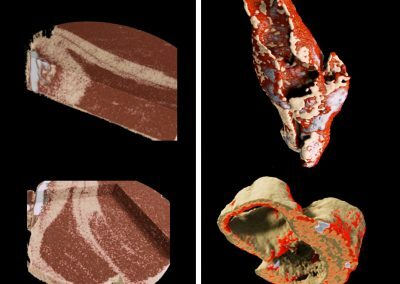 MARS spectral molecular imaging of lamb tissue: data collection and image analysis. Journal of Instrumentation, vol. 9, no. 02, p. P02005. Read paper. 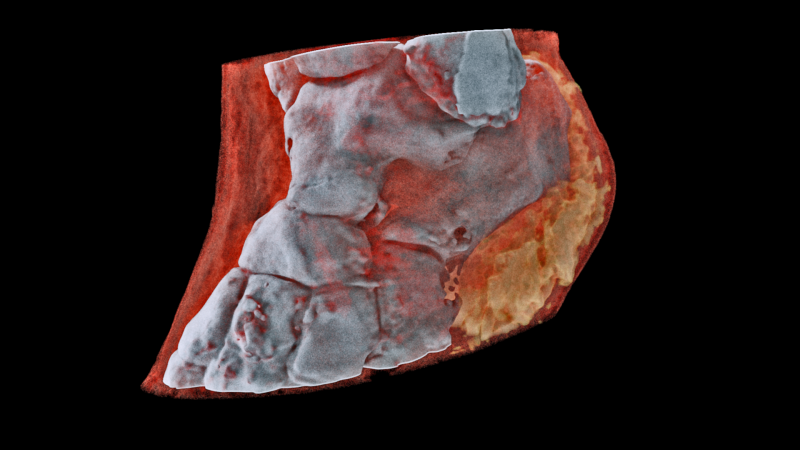 Why measure just structure or bone mineral density when you can do both? 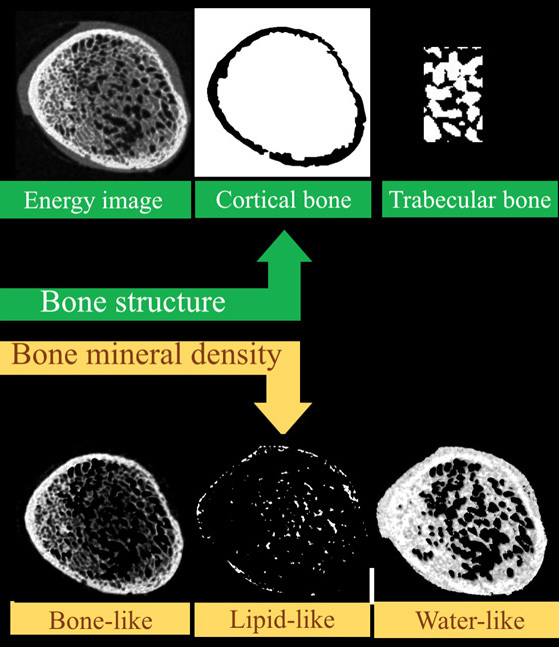 Simultaneous measurement of both bone structure and bone composition using energy information and calcium, lipid and water channels. 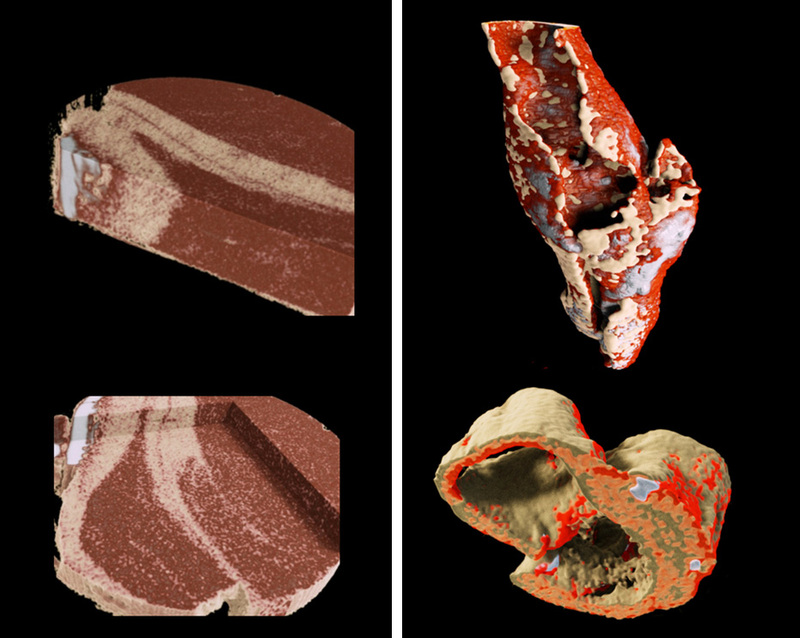 MARS enables both structural, and material information to be measured simultaneously. 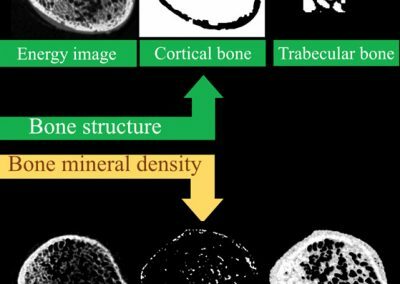 This means that bone mineralisation or bone densitometry can be measured within bone sites as well as architectural features such as cortical thickness, trabecular thickness, and trabecular spacing. 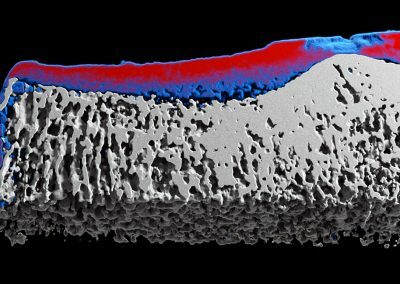 Furthermore, some biomarkers of cartilage health can be measured including early measures of osteoarthritis. Downloadable data sets include metallic scaffolds. M. Ramyar, et al. 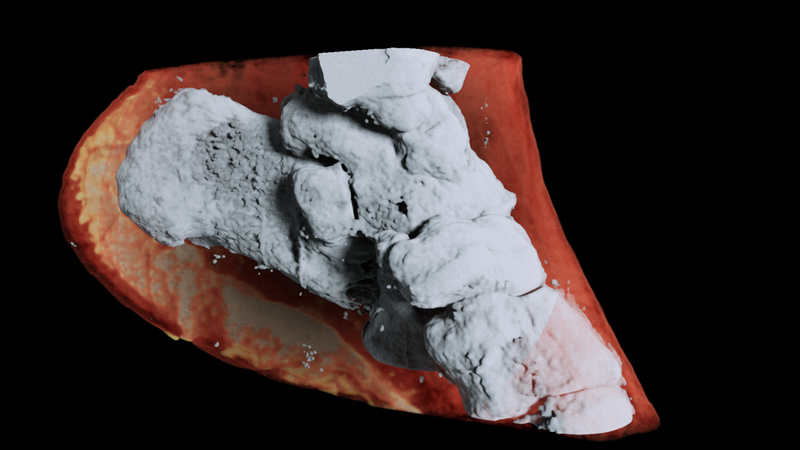 Establishing a method to measure bone structure using spectral CT. SPIE Medical Imaging, 2017. DOI: 10.1117/12.2255616. Read paper. M. Ramyar, et al. 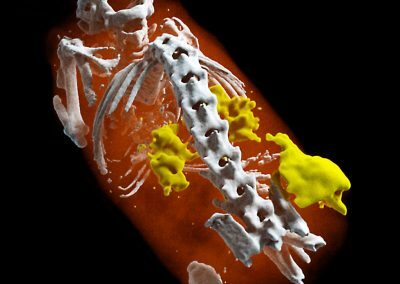 Establishing a method to measure bone density using spectral CT. Published by the European Congress of Radiology, 2017. K. Rajendran et.al. 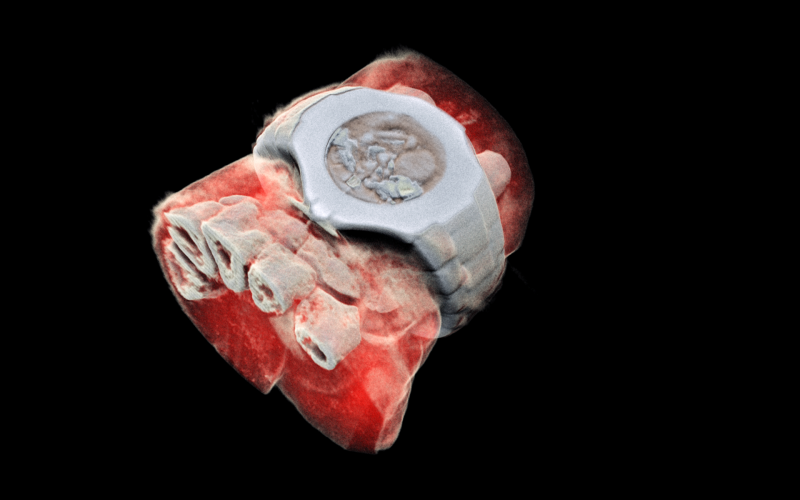 Reducing beam hardening and metal artefacts in spectral CT using Medipix3RX. Journal of Instrumentation, Vol. 9 P03015, March 2014. Read paper.